Image of the Month, November 2018: "Alpine Garden"
The Image of the Month for November is Alpine Garden. Buy it before November 30th to get a reduced price, it will never be this cheap again! 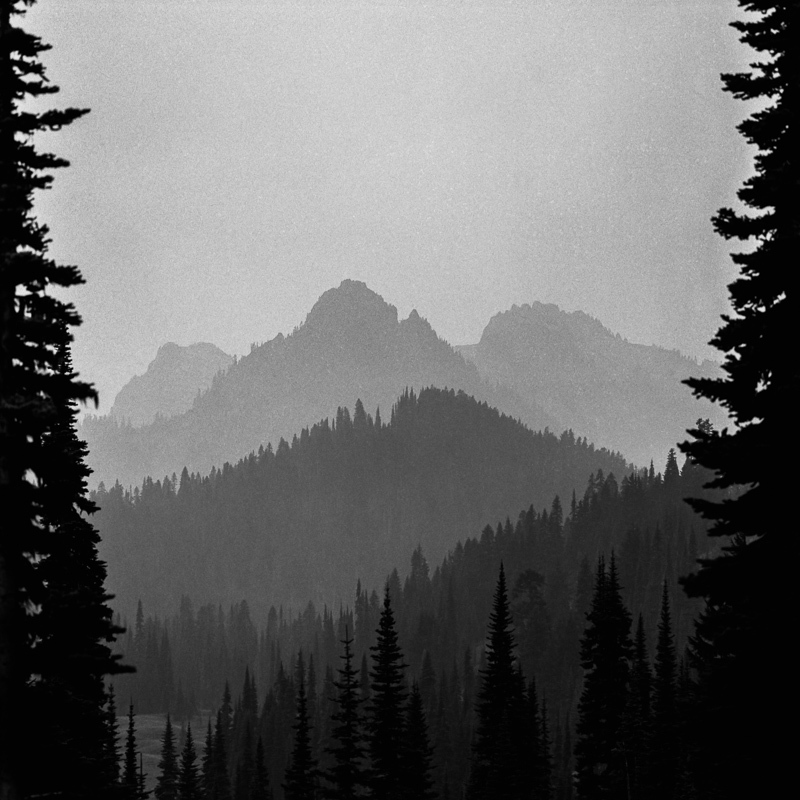 Watch the video where I made this image: "Mt Rainier National Park, shooting film: HP5, Pancro 400 and Arista". Mt Rainier National Park is without a doubt one of the most beautiful places in the PNW. It feels like paradise, straight out of a fairy tale in every corner. On this trip, though, the park looked and felt a bit different. The numerous wildfires in the region covered the beautiful landscapes in a thick layer of smoke. While terrible in many ways, fires (the naturally occurring ones) are good for the forest, and they can be good for photography as well. This is how I made this image. I saw those beautiful peaks in the distance, with a background that was free of any noise thanks to the smoke. I just needed to find a good composition, and those two trees gave me the framing I was looking for. One of my favorite images, at one of my favorite places. "Alpine Garden" is available for purchase here.